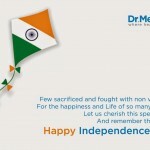 Dr.Mehta’s Hospitals are widely recognized as a leading Healthcare provider in India. With over 8 decades of expertise and experience in healthcare, we have helped heal consumers across generations. Our focus on consumer health, safety and infection control has helped us deliver top quartile clinical outcomes consistently and ensured that we have helped heal over tens of millions of our consumers over the last century. Dr.Mehta’s is widely respected as amongst the safest and healthiest birthing locations in the country having helped deliver over 500,000 babies family smiles. Our Pediatric Hospital has been recognized by clinicians and consumers as a leader across India. Our General Hospital is the oldest and most experienced private hospital in India and is on the list of top 30 on the planet.